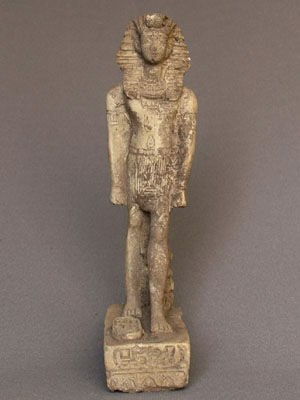 Ancient Egyptian Statue OF "Tutankhamen"
On auction is an Egyptian Ancient Egyptian Statue Of "Tutankhamen" , Egypt, New Kingdom, Dynasty 18. It is a very attractive, rare and very hard piece to find. 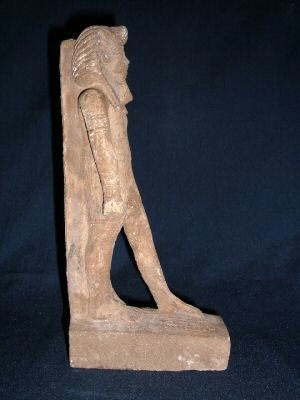 We acquired this item many weeks ago from a private collection and we're told that this item was found in Upper Egypt. 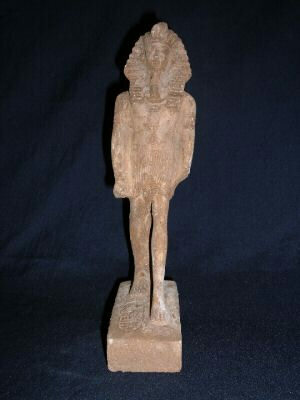 Our ancient Egyptian antiquities are purchased from dealers who have worked in this field since 1978. (they are making deals with a lot of Men who works in Excavation sites in the land of Pharaohs), We routinely purchase from these dealers. They always have genuine, high quality and remarkable antiquities that we in turn, offer to you. We have got all information from our trusted antique dealers, and the timeline set on our items is to be used as a guideline for the above period listed. 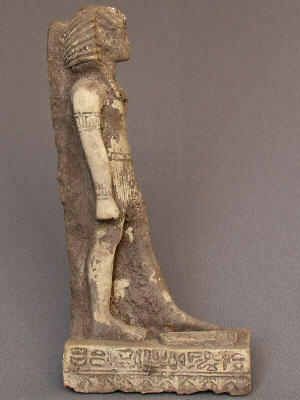 The listed item is from the New Kingdom Period(1539-1075 B.C.E). He is standing and has the royal headdress minus the Ureaus. His right hand is clasped, left palm down and there are cartouche like hieroglyphics on each side of his throne. 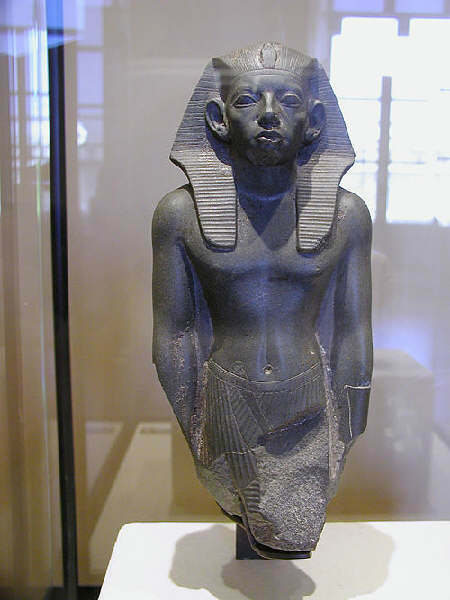 Made of stone composite, it is mostly intact, there is age wear, a slight chip to the left side and he is covered in a brown patina. This is a very rare and exquisite piece! The reason for the item being available is due to the vast extent of old archeological findings, thousands of years in Egyptian burials and also the proliferation of these said items in private collections worldwide. Our company spends a great deal of time researching and investing monies on private acquisitions to make these items available to you, at a low auction price.